A #1 Bestseller in Australia and Book Sense 76 Pick Life is pretty complicated for Elizabeth Clarry. Her best friend Celia keeps disappearing, her absent father suddenly reappears, and her communication with her mother consists entirely of wacky notes left on the fridge. On top of everything else, because her English teacher wants to rekindle the "Joy of the Envelope," a Complete and Utter Stranger knows more about Elizabeth than anyone else. But Elizabeth is on the verge of some major changes. She may lose her best friend, find a wonderful new friend, kiss the sexiest guy alive, and run in a marathon. So much can happen in the time it takes to write a letter... A #1 bestseller in Australia, this fabulous debut is a funny, touching, revealing story written entirely in the form of letters, messages, postcardsand bizarre missives from imaginary organizations like The Cold Hard Truth Association. 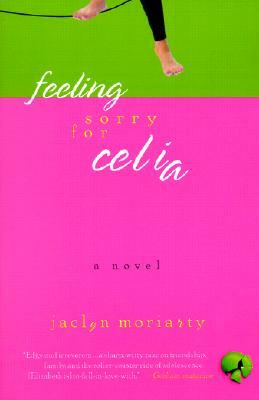 Feeling Sorry for Celia captures, with rare acuity, female friendship and the bonding and parting that occurs as we grow. Jaclyn Moriarty's hilariously candid novel shows that the roller coaster ride of being a teenager is every bit as fun as we rememberand every bit as harrowing.